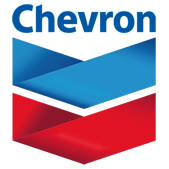 Chevron Lubricants is a leading manufacturer of premium base oils and one of the world’s largest suppliers of finished lubricants. Since launching its first lubricant product in 1907, Chevron Lubricants has been a premium global partner by developing breakthrough technologies to help customers reduce total cost of operation while improving the reliability, profitability and service life of equipment. Marathon Petroleum Company LP’s (MPC’s) comprehensive product line supports a variety of commercial, industrial and retail operations nationwide. In addition to gasoline, distillates and lubricants, MPC LP is a major producer of asphalt. STARFIRE Premium Products provide exactly what today’s distributor and customer need – a complete, diversified line of premium quality products and packaging options to satisfy their applications and provide considerable cost savings over comparable branded products. Parman Energy is centered around four core values: Innovation, Experience, Integrity and Service. We strive to express each of these values in every facet of the company on a day-to-day basis. For more than 40 years, Clarion Lubricants has delivered one of the industry’s broadest line of safe, protective lubricants, including food grade, environmental and synthetic grade formulations that contribute to a more sustainable future.